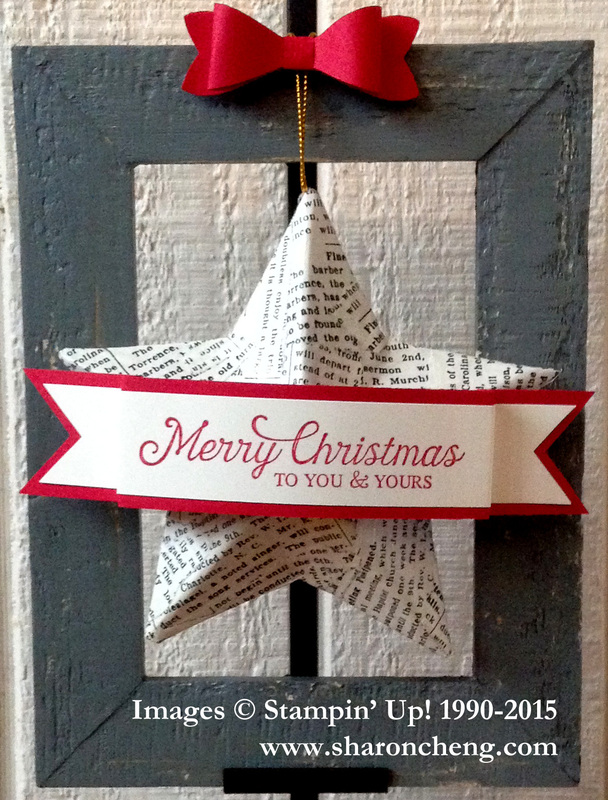 Looking for a quick and easy Christmas decoration for your home or a gift for that special someone? 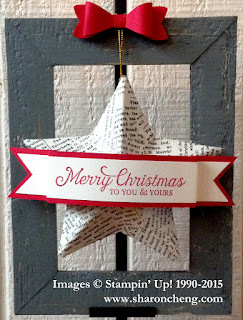 This quick and easy Christmas Star could be just what you need for your next crafting project. I got the frame (including the stand) and paper mache star at my local craft store for just under $10. Gotta love those Black Friday specials! While the frame came with the glass and backing, I liked the look of the star against the open frame. 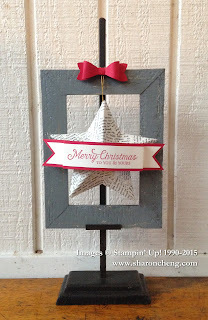 I covered the star with Stampin' Up! 's Typeset Specialty Designer Series Paper. That inspiration came from the December Splitcoaststampers Challenge. 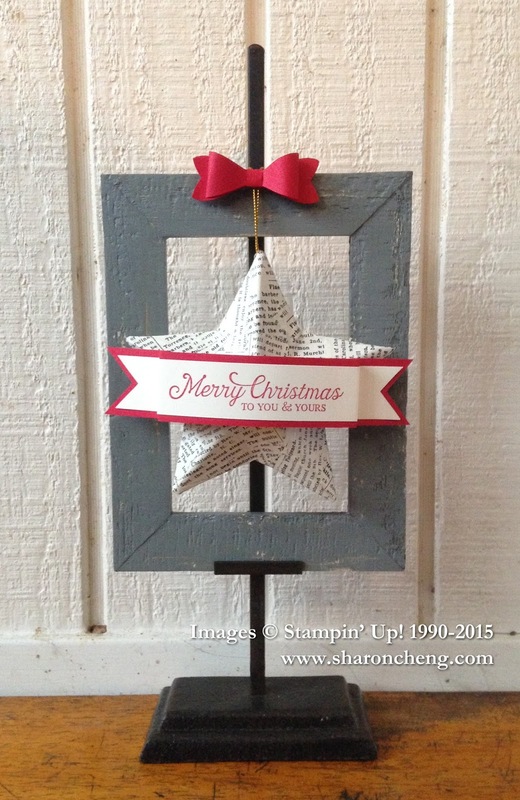 The sentiment is from the hostess stamp set, Six Sayings, in the Holiday catalog. For the red trim and bow I used Real Red Envelope Paper. The light-weight paper was perfect for the folded banner. This is the how the frame looks with the stand.